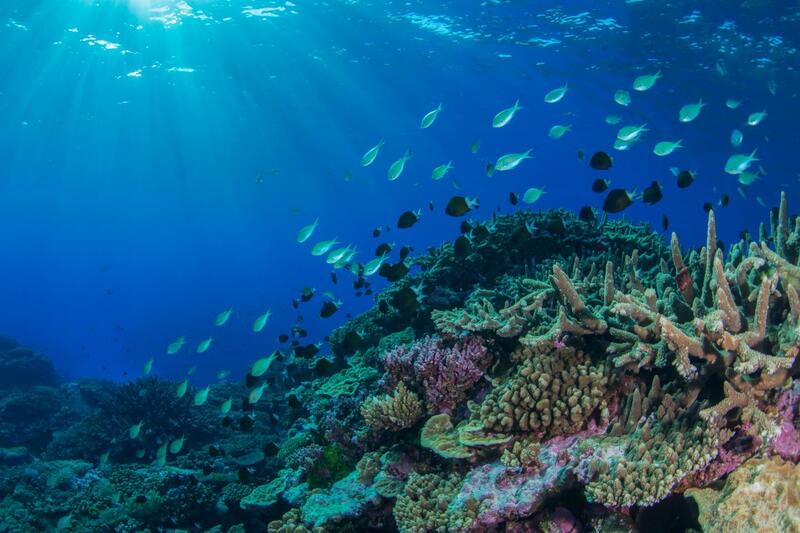 Research published today in Nature describes upheaval among fish and invertebrate communities after a marine heatwave hit Australia's Great Barrier Reef and Coral Sea in early 2016. "We know that coral reef ecosystems are changing dramatically in response to global warming, but the focus has usually been on the fate of corals, with clear impacts of mass bleaching observable from aerial images," study leader Rick Stuart-Smith said. "We were interested in how the loss of coral compared with other changes across the full region. "After reviewing surveys of corals, seaweed, fishes and mobile invertebrates such as sea urchins at 186 sites across the Great Barrier Reef and western Coral Sea – before and after the 2106 heatwave – we realised that coral bleaching was only part of the story. "Changes were also happening around the bleached corals, to the fishes and other animals that the reefs support, and which in turn assist coral recovery." The study's most important finding was the detection of broad regional ecosystem change that was distinct from the degree of coral loss at each site. "While severe declines in live coral cover occurred on northern Great Barrier Reef reefs, losses in the northern Coral Sea were even greater," co-author and RLS survey leader, Professor Graham Edgar said. "However even in the worst hit areas, coral losses varied greatly from reef to reef, with a few sites showing small coral gains. "The only change in fish or invertebrates that clearly matched this patchy change in coral cover was a decline in coral-feeding fishes such as butterflyfishes. "Other big changes related more directly to the effect of warmer temperatures on the fishes and invertebrates." These herbivorous fishes play an important 'functional' role in preventing algae from taking over and displacing corals on disturbed reefs. They appeared particularly sensitive to the warmer conditions, and their loss may affect the capacity of corals to rebuild. "Our observations suggest that recovery processes will depend on such functional changes in reef communities, which in turn depend on how temperatures change the makeup of fish and invertebrates that live on the reefs," Dr Stuart-Smith said. "Although we are lucky that herbivorous fishes are not heavily targeted by fishing in Australia, our results highlight the potential for some ecologically important groups of reef animals to be disproportionately affected by warmer temperatures, particularly near the warm edge of their distributions. "So as well as considering how to conserve and restore corals in areas affected by bleaching, we also need to consider how to maintain or build the broader fish communities that provide reef resilience. "This may mean considering where particular species in these important groups are subject to overlapping pressures such as fishing, warming and habitat loss, to better plan protected areas or manage human pressures like fishing for a warmer future." The Australian Rivers Institute, Griffith University and the ARC Centre of Excellence for Coral Reef Studies, James Cook University were partners in this study. Analyses were supported by the Marine Biodiversity Hub, a collaborative partnership supported through the Australian Government's National Environmental Science Program.